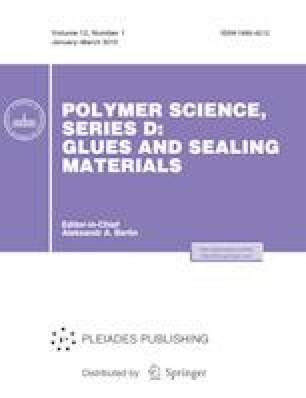 The influence of accelerated climatic aging on the yield strength of a metal–ceramic adhesive compound is studied using a Viksint U-2-28 sealant as adhesive. The long-term storage conditions for adhesive compounds in a heated warehouse and on an open area have been simulated. The fracture surfaces of adhesive compounds are described and analyzed via the fractodiagnostics. Accelerated climatic aging is shown to improve strength of adhesive compounds.